Having the right equipment and expertise for the careful dismantling of a structure is one our first and foremost concerns. All employees and equipment utilized by Hodupp's Timbers is insured and operated with the "Safety First" motto. Improper storage can ruin priceless timbers that's why Hodupp's utilizes the utmost care in the storage of its reclaimed lumber. 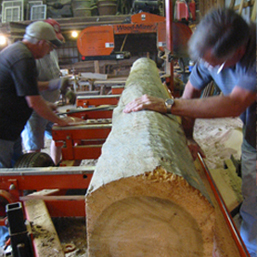 Hodupp's has all the full service mill and reconditioning equipment necessary to renew and craft any reclaimed lumber into a one-of-a-kind masterpiece that will last for another 300 years. Reclaimed lumber is smart, cost effective and good or the planet. Reclaimed lumber can add character and beauty to building projects that new lumber just can not match. Early American settlers utlized the resources around them to construct the barns and homes they lived in. 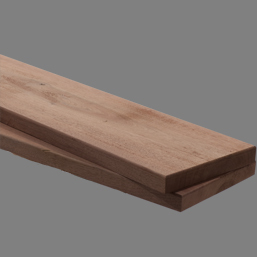 In most cases exotic hardwoods such as oak, chestnut, and walnut were utilized more for their utilty than for their beauty. Today those same new growth hardwoods are reserved for high-end furniture and fine home building. Hodupp's long recognized these endangered species awaiting the opportunity to be useful again. Reclaim, Renew and Reuse! Reclaimed lumber is one of the best ways to "GO GREEN" in new construction. 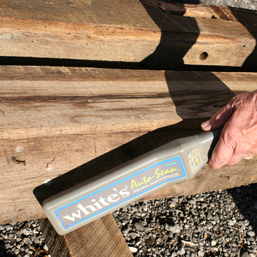 We provided our reclaimed wood with as much or as little reconditioning your project requires. Hodupp's Timbers has the equipment and expertise to renew your reclaimed hardwood all the way through kiln drying and tongue and groove milling. Call today for your personalized quote. Reclaim, Renew and Reuse!